Custom flags are something that every business may need to make the very best first impression in the minds of their tradeshow customers. Proudly display your logo on these colorful and eye catching flags that are hard to miss out even in crowded tradeshows. Logo imprinted flags will drive up the booth footfalls and brand recognition easily. The best thing is that these won’t cost you a lot of fortune. ProImprint offers a range of personalized flags that will make your tradeshow a huge success! Shop today at ProImprint and avail the lowest price match guarantee, FREE set up and artwork assistance on every order,discounts on bulk purchases, rush orders, quick shipping and much more! 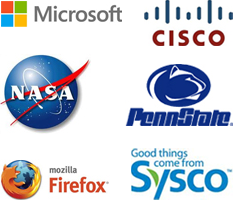 100% customer satisfaction guaranteed! Promotional flag displays will complement your trade show booth theme and bring in a steady stream of curious clients to your booth. 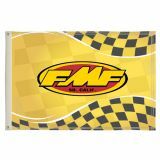 These colorful logo imprinted flags will stop people in their tracks to view your message and logo on these flags or banners. ProImprint has an exciting range of personalized flags that will make your tradeshow booth attractive and lively and will demand instant attention of your attendees. Designed to last long and will draw quite a few eyeballs of your guests, these full color double sided polyester flags with canvas finish and brass grommets will make elegant brand ambassadors for your business. 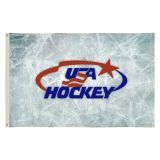 Apart from tradeshows, personalized flags can also be used to promote shops, sports leagues, lobbies and schools which means that these personalized flags can be used over and over again for a very long time. 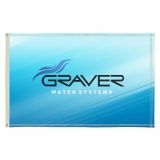 These durable flags and banners can easily withstand rain, light wind and snow. Logo imprinted flags have always been popular for their simplicity and effectiveness in driving home your business message. Flags enjoy a very high visibility and can be seen from even a distance. These portable fixtures of flags will add a dramatic visual appeal to your trade space and will dress up the blank spaces with ease. Your logo and business message on these eye-popping flags will never fail to capture the attention of even the casual onlookers. Flags can be printed in different colors either portrait or landscape orientation.Our Tradeshow flags are easy to store and travel with as these can be neatly rolled and packed without causing any damage to the graphics. Whenever you want to leave a personal style statement and an inviting milieu to your booths, remember to use these custom flags as part of your tradeshow setup!The lightweight and portable stands will make these flags easy to carry around too. It might be easier said than done to choose your custom trade show flags considering the immense range of collections at ProImprint. So, if you need any selection tips or assistance, all you need to do is to call us at 844-776-4677 or email us at info@proimprint.com and we will help you find the perfect choice that will match your trade show theme.